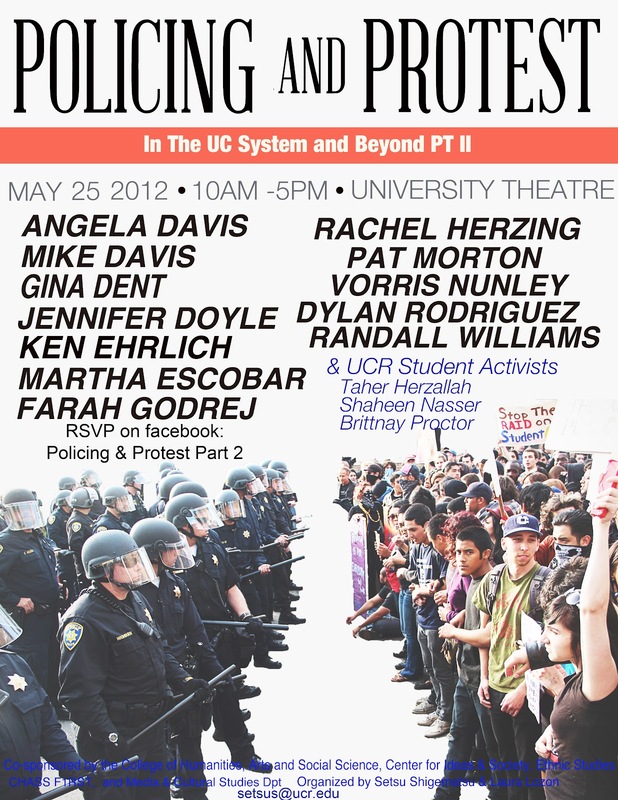 From a comrade down south: "We've been holding a series of symposiums over the past month here at UCR on policing and state violence. We are holding the third and final event of the series. Angela Davis, Gina Dent, Dylan Rodriguez, Randall Williams and a bunch of other really really good speakers are going to talk about the police, getting cops off campuses, alternative models of community safety, etc."